Nestio is tapping the rental inventory that New York City landlords store in listing management systems powered by the startup to create a constantly updated listing database for the entire city that’s accessible only to agents and real estate brokers. By sourcing many listings directly from the Nestio-powered internal management platforms of landlords, the database will offer an unprecedented level of accuracy and timeliness, providing subscribers with a competitive edge over other agents and brokers, said Nestio CEO Caren Maio. 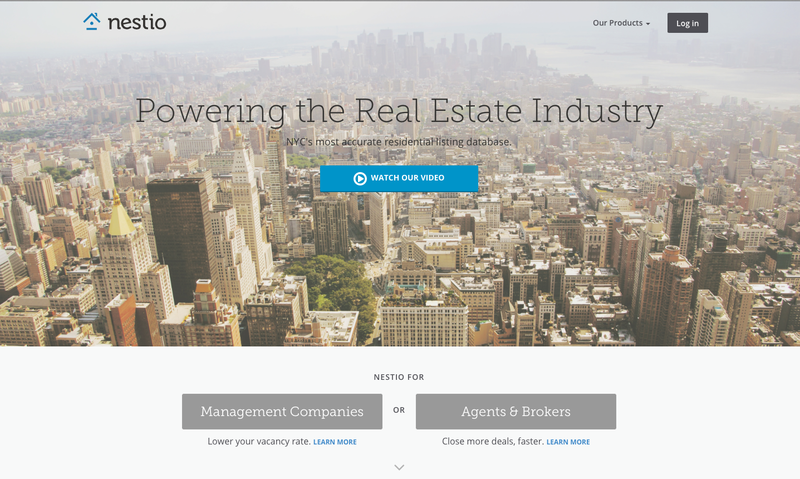 Nestio’s listing management platform, used by landlords whose listings represent a claimed 30 percent of New York City’s rental inventory, streamlines the process of updating listings, displaying them on landlords’ public-facing websites, and distributing them to brokers and agents through email blasts. Before, Nestio powered that platform only for landlords. But now the company will also aggregate listings from its clients to create a listing database available only to agents and brokers. Nestio has compiled nearly all of the listings stored in its clients’ management systems, and it’s pulled in even more from landlords who don’t use its platform. This second group of listings — sourced from landlords’ email blasts and landlord listing feeds — represents an estimated 37 percent of New York City’s rental inventory. The whole database, therefore, covers 67 percent of New York City listings, Maio said. 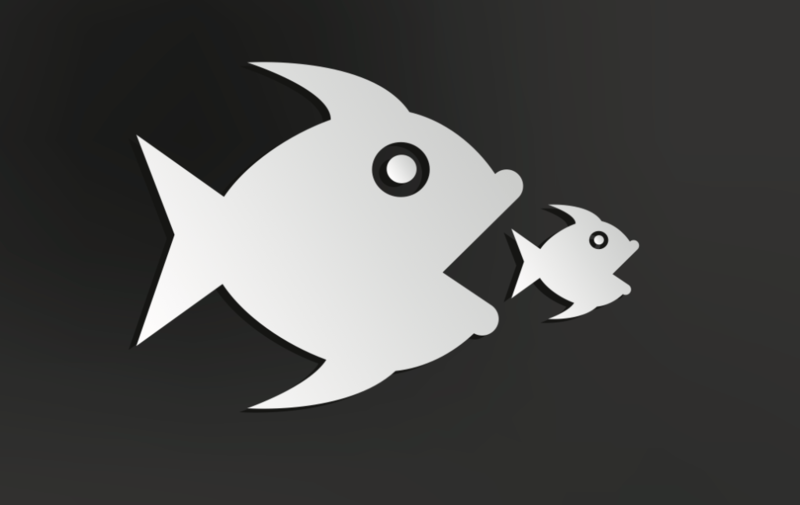 Brokers and agents may pay a fee to access Nestio’s database. Agents who sign up individually must pay $50 a month, while brokerages may obtain discounts, Maio said. There are already a handful of rental listing platforms accessible only to brokers and agents in New York City. But Maio claims Nestio’s platform offers unprecedented timeliness and accuracy. When landlords update their inventory in Nestio’s listing management platform, Nestio instantaneously updates those listings in its database, Maio said. That means that subscribers may see new listings or updates to listings as soon as landlords add them for their own internal management purposes. Landlords using Nestio’s management platform account for about 30 percent of the city’s inventory, and only that segment of its listings will update in real time. That still represents a degree of timeliness that blows away the competition, Maio said. She says other New York City listing databases pull a vast majority of their inventory from email blasts or feeds that must be updated independent of listing management systems, which results in a lot of stale listings. 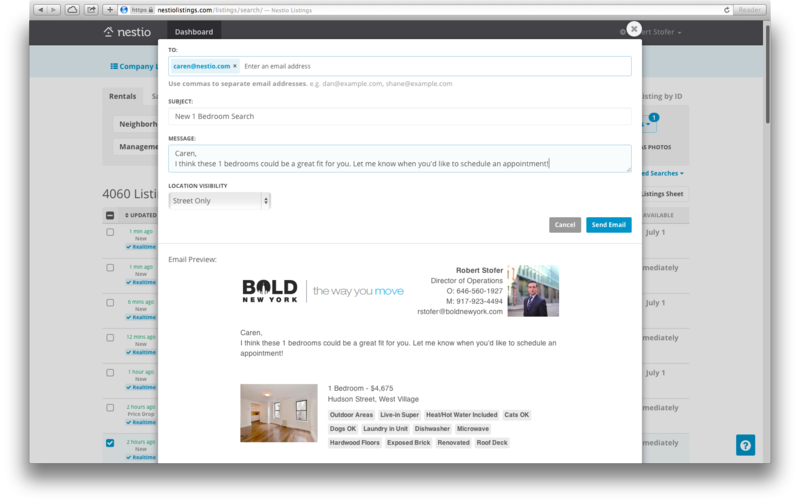 The listing database also allows agents to store leads, send emails with listings to clients and track deals. In addition, it enables them to seamlessly post listings they find in the database to consumer-facing websites. Screen shot showing Nestio tool that lets listing service subscribers generate and send emails with listings. A tool that makes it easier for different agents to post the same listing to the same site might not seem like such a good thing for the New York City rental scene. New York City’s “open market,” where agents may represent the same listing, already spawns a horde of duplicate and outdated listings on rental sites. But Maio said she’s not worried about making things worse, because rental sites are getting better at recognizing and removing redundant or stale inventory. Trulia recently vaporized 50 percent of its NYC inventory — the share that it said were fakes or duplicates — and removed the option for agents to post listings — it now accepts them only from brokerages.